Jaguar Land Rover is claiming a UK electric car record for its Gaydon engineering facility. It says the biggest electric car smart charging site in Britain has now gone live. It contains no fewer than 166 smart charging outlets, for use by engineers, employees and visitors. The collection of 7kW AC smart chargers can, say JLR bosses, add 22 miles of range to an I-Pace every hour: that means eight hours of range in a single working day. 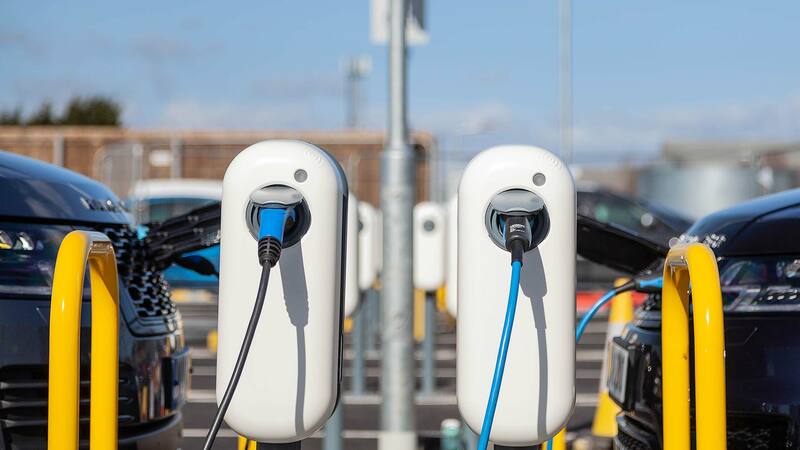 The electricity is cost-neutral for employees, and it’s sourced from 100 percent renewable energy (as, interestingly, is all the energy used by JLR UK facilities). JLR is getting Gaydon set up because, said its head of e-Mobility Mick Cameron, “every new Jaguar and Land Rover model line will be electrified from 2020. Research suggests that 40 percent of electric car charging across Europe currently takes place at work. However, 75 percent of EV users in Britain are currently unable to charge their cars at work. 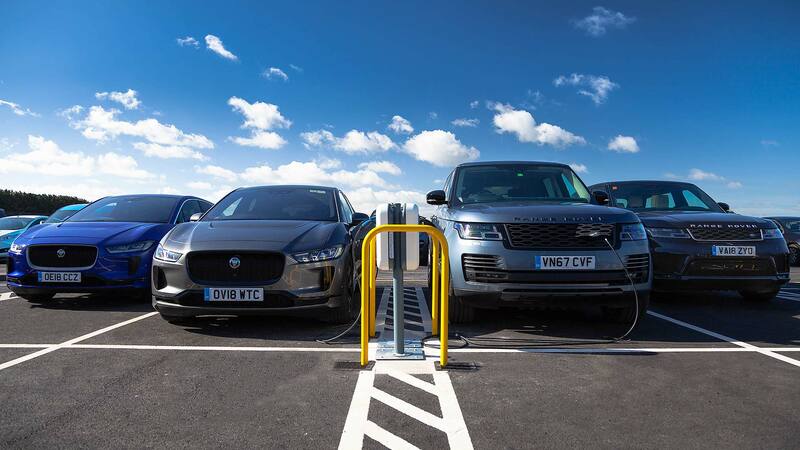 JLR intends for its landmark move to be the first phase in rolling out chargers across all its UK sites. 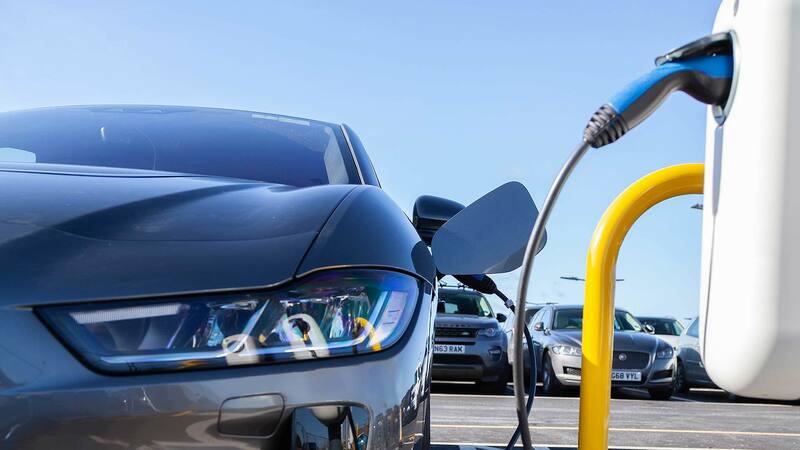 This will, says the firm, enable even those who don’t have home-charging facilities to drive an electric or electrified Jaguar or Land Rover as a company car. The JLR announcement comes as Britain’s largest rapid-charging site of 50kW EV units opens near junction 14 of the M1.